Mrs. Hankinson's Class: 200 Followers - February Freebie! Hip - hip - hooray! I hit 200 followers today! I decided not to do a giveaway with a rafflecopter, but instead a giveaway to everyone who comments on this post! Be sure to leave your email address! 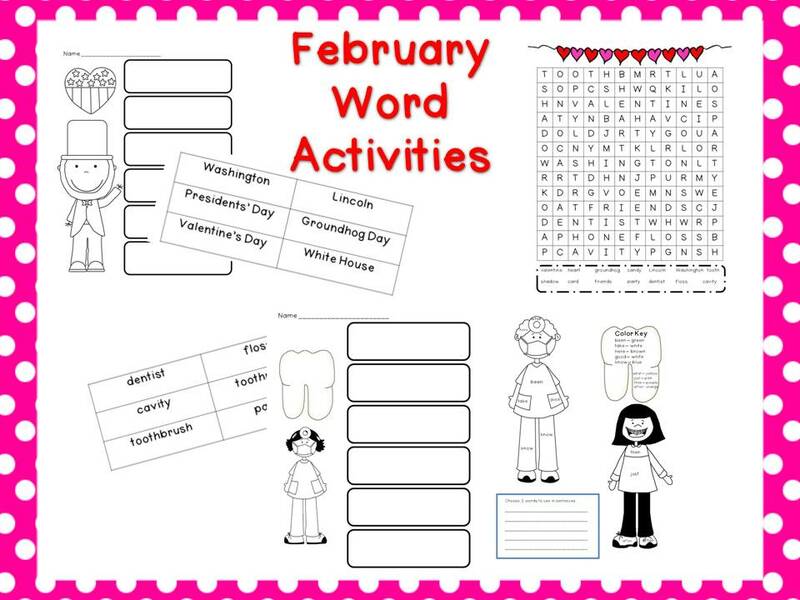 My February Word Activities includes 3 alphabetical order activities, a word search, and 3 color sight word activities. Priced at $3.00, but yours for free! 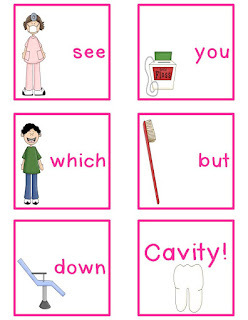 My "Don't Get a Cavity!" 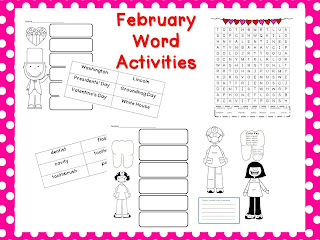 February sight word game includes 22 pages of word cards. There are "special" game cards to change the game up a little bit. Priced at $3.00, but once again - yours for free! My friend and co-worker, Andrea, at Reading Toward the Stars! is having a 400 follower giveaway. 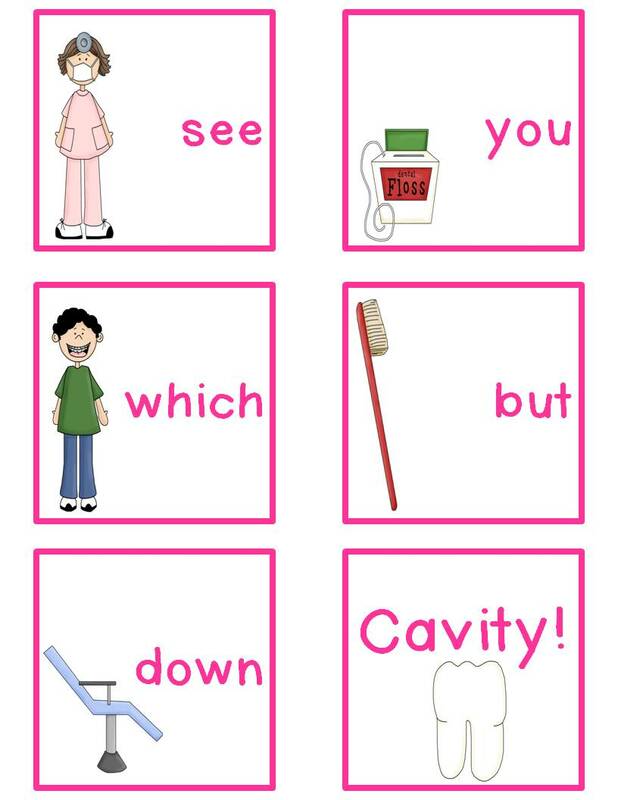 I am donating any one item from my TpT store! 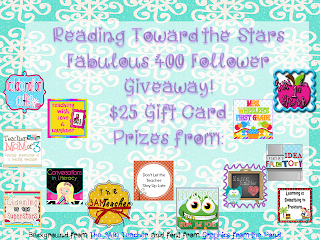 :) Check it out - she has some great prizes! Don't forget about Mrs. Leeby's 200 follower giveaway! I will "end" my 200 follower giveaway on Wednesday evening (9:00PM EST) and will start emailing out the two February activities to everyone who has left me a comment with an email address! Thanks for following! You are so generous! Thank you for the freebies, I am so excited to use them. Congratulations on 200, that is awesome! Congrats on 200 followers! I'm one of your new followers. Congrats on getting 200 followers! Congrats on reaching 200 followers :) Thanks for being so kind to share your resources! Congrats!!! I can't wait to receive your packets!! Thank you for your sweet generosity! I'm enjoying your blog....thanks for sharing your your ideas with us! Congrats on 200 followers! How exciting! I believe that I am #205! Congrats again! Congrats on all the followers!! Congrats on your 200 milestone! Thanks so much for sharing your unit with us! Congrats! Thanks for being so generous. Oh you are so nice! Thank you for the giveaway! This is so generous! Congrats on reaching 200 followers! 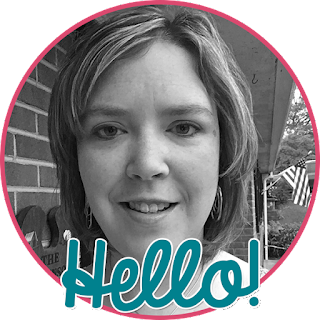 I saw your cupcake freebie on Math Coach's Corner and knew I had to check out your blog. So glad I did. Congrats on your 200+ followers and thank you for the freebie. Congratulations! Your blog is amazing and I'm happy to be a follower! Thanks for the shout out! You are very generous! Thank you so much. Congrats on your blog. Congrats on 200 blog followers and continuing. Thanks very much.